It’s strawberry rhubarb pie time!! Yummy! 9. In a small bowl, whisk together the sugar, cornstarch, salt, and cinnamon. Sprinkle the mixture over the rhubarb and strawberries, and stir to coat them. 11. Spoon the filling into the pan. Dot the top with the diced tablespoon of butter. 16. Place the pie on a baking sheet. Bake the pie for 30 minutes at 425°F, then reduce the oven temperature to 375°F and bake for another 30 minutes more, until you see the filling bubbling inside the pie and it’s golden in color. 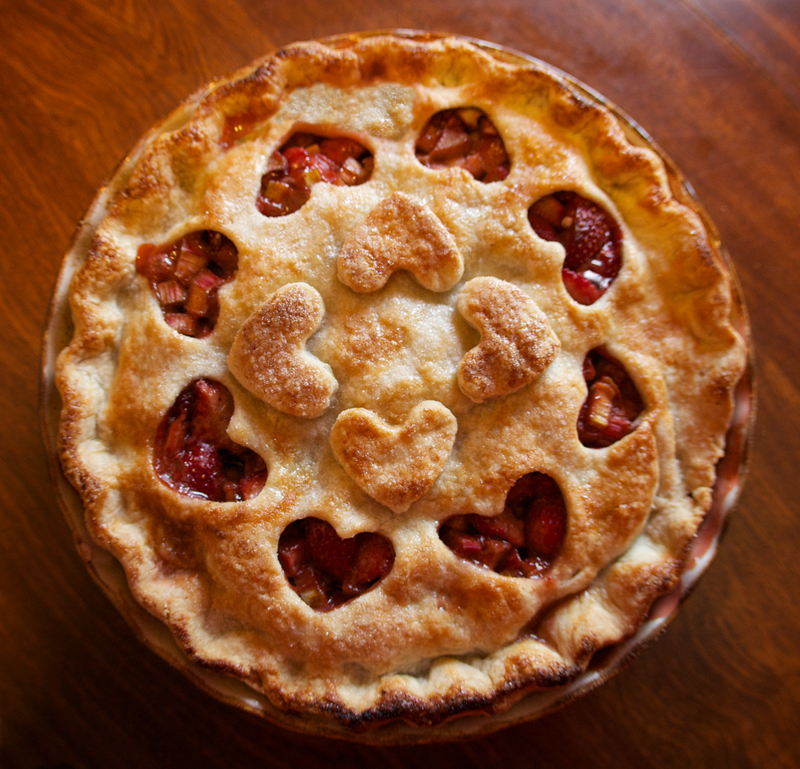 This entry was posted in Uncategorized and tagged dessert, pie, strawberry rhubard. Bookmark the permalink.